Thanks to the ergonomic plate release buttons, removing the cooking surfaces for cleaning or reversing them from a flat to a pizzelle side is a breeze. When not in use, the unit can be stored upright to save kitchen space. Preparing some recipes might take a bit longer than stated in the booklet. The unit will come in very handy for making crepes, pancakes, tortillas, quesadillas, and other goodies for yourself and your family. 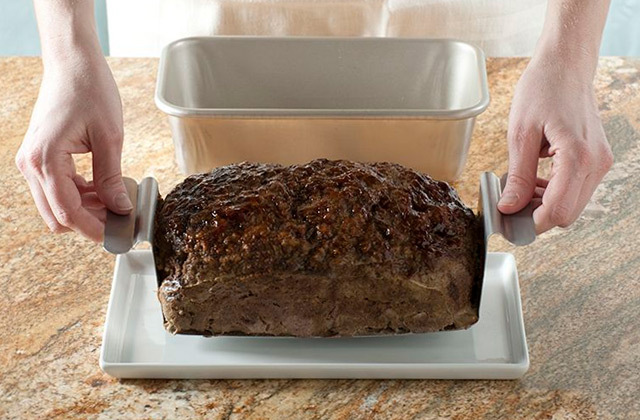 An ergonomic timer function and cooking utensils included in the box will make the cooking process way easier. Thanks to the special non-stick coating on the plates, this pancake maker machine will allow you to use minimum or no oil when cooking. After use, the plates are easy to clean with a cloth or a paper towel. 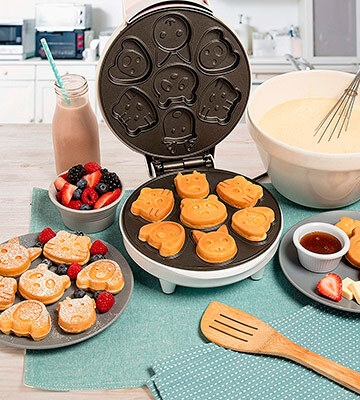 Thanks to its closed design, powerful heating elements, and 8-inch cooking surfaces, you will be able to make lots of appetizing animal-shaped waffles or cookies in no time at all. It is a great appliance for cooking homemade treats for special occasions. This mini pancake maker has ergonomic feet that will prevent your countertop or other surfaces from heating, whether you are cooking a five-minute meal or spend longer time making yummy treats for all your family. It might take quite a while to pre-heat. 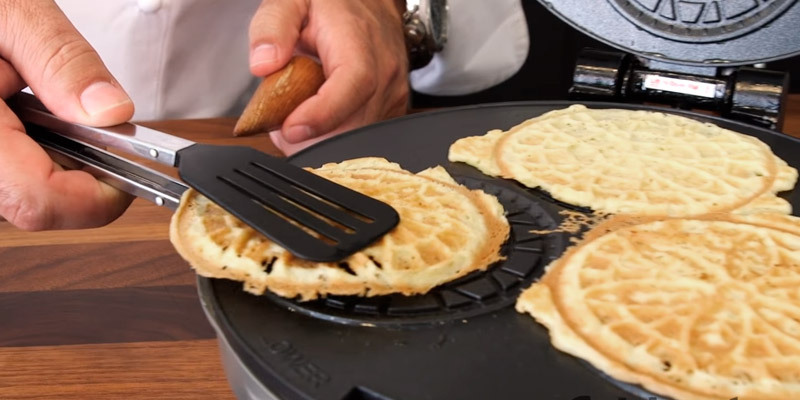 This portable crepe maker is a real saver for a tiny kitchen, RV, or dorm room. 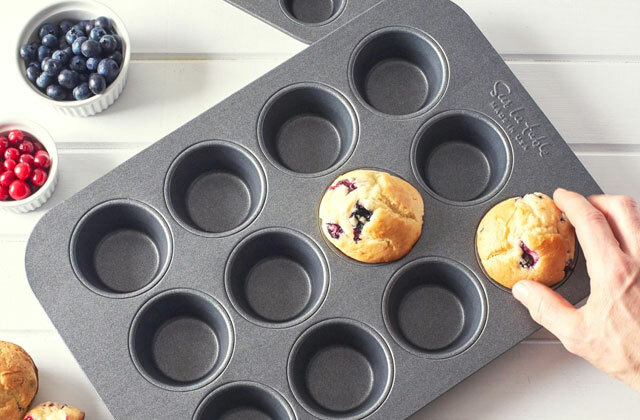 Unbelievably compact in size (5" x 2.8" x 6"), it features 4" non-stick cooking surfaces that will allow you to make a delicious personal breakfast in just a few minutes. 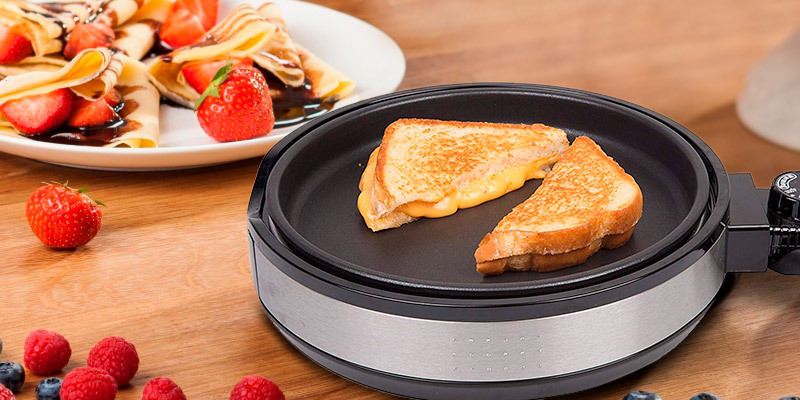 Featuring a mechanical thermostat with degrees in Fahrenheit, this electric crepe maker will allow you to preset the temperature according to the recipe. 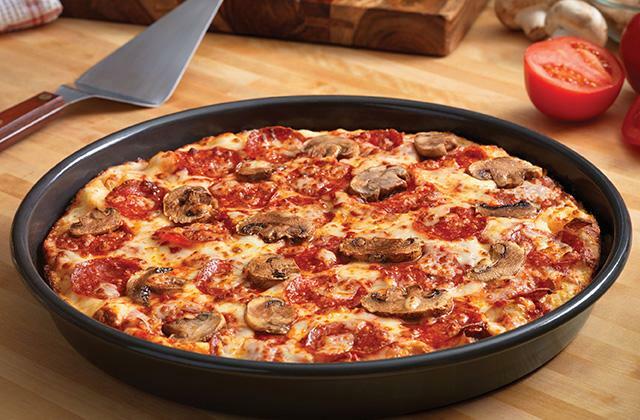 A heating mode for reheating your meals in minutes is also available. Because of its open construction, the appliance only cooks from one side. A head above its competitors in terms of functionality, this model comes with 3 interchangeable non-stick plates. 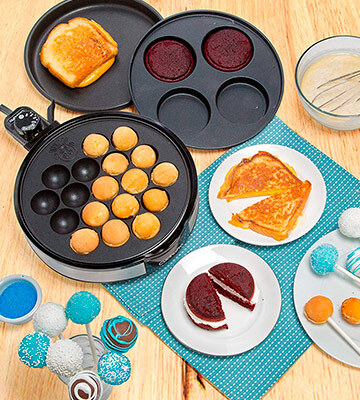 The first one is perfect for pancakes and cookies, the second one for cake pops, and the third one allows you to use the unit as an electric skillet. In the box, you will find a comprehensive recipe book, so you will be able to make adorable pancakes using various batters and fillings. The unit has a cute Mickey-shaped power indicator that illuminates when the unit is plugged in. Cleaning the cooking plates is not that easy. 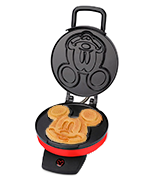 Allowing you to cook yummy Mickey Mouse pancakes and cookies, the Disney DCM-12 will make cooking and eating fun for both kids and adults. It is just what you need to prepare a filling and appetizing breakfast for your little one. 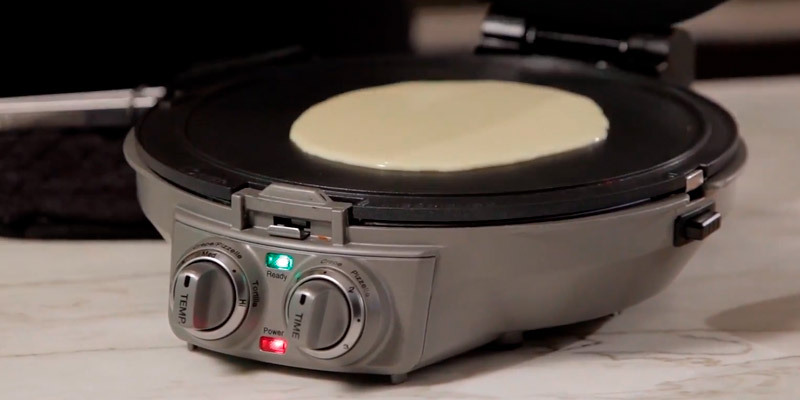 The Cuisinart company presents an electrical reversible closed crepe maker. 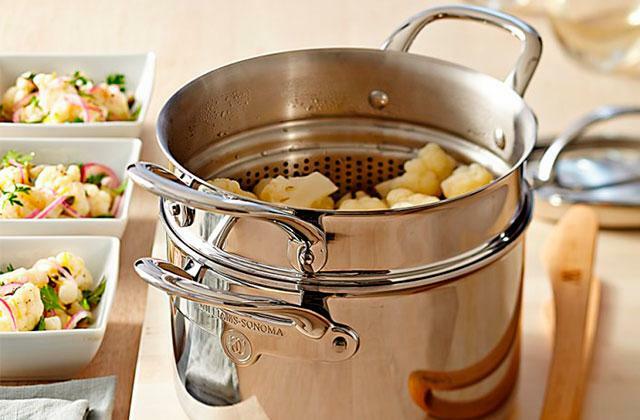 It’s ideal for those who don’t want to spend too much time cooking. The appliance operates in a really simple way. 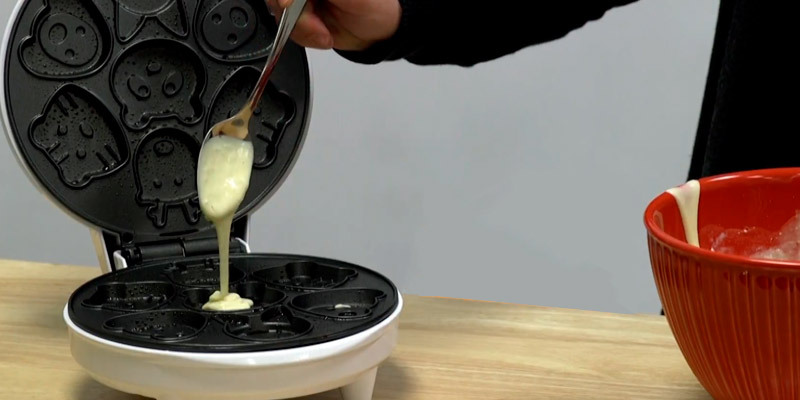 This reversible crepe maker won't leave a single homemaker unimpressed since it allows baking crepes on both sides at a time. Another pleasant advantage is that you don’t need to turn pancakes over while cooking. Obviously, anyone will manage to cook crepes with this Cuisinart International Chef Crepe Maker. To prepare the batter for crepes, you are welcome to use the recipe book that comes in a package. The Ready-to-bake indicator will tell you exactly when the working surface gets hot enough for cooking. After your batter is ready, you just have to pour it onto the baking surface and close the lid. 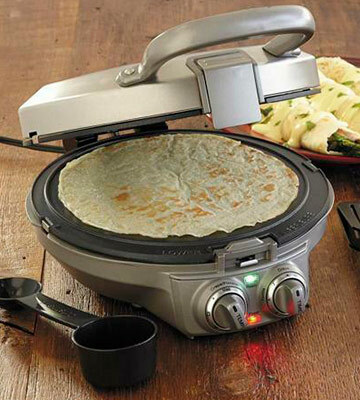 You won’t have to worry about crepes getting burned since this appliance is equipped with a Ready signal. The 8 1/3’’ non-stick Teflon plate allows baking crepes thoroughly from inside out with minimum use of oil. A lot of customers love its removable reversible surface. 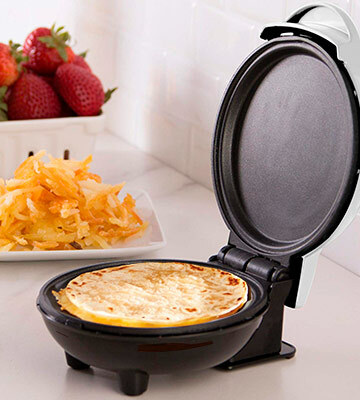 Using this unusual kitchen appliance, you’ll be able to prepare large thin crepes on one side and pancakes, flatbread, and tortillas on the other. It’s possible thanks to the different construction of these two baking surfaces: one is flat, while the other has three cavities. Thus, you'll be able to cook many different exotic meals at home, including but not limited to potato pancakes, Swedish pancakes, corn dodgers, and Italian waffle cookies. Being dishwasher-friendly, the crepe maker is very simple to maintain. 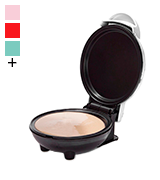 A lockable upper lid with a handle provides convenient storage. The appliance comes in a package with a measuring spoon, tongs, a mini ice cream cone roller, and a recipe book. Serve yourself crepes and pancakes with a variety of jams, honey, whipped cream or chocolate, and caramel topping. 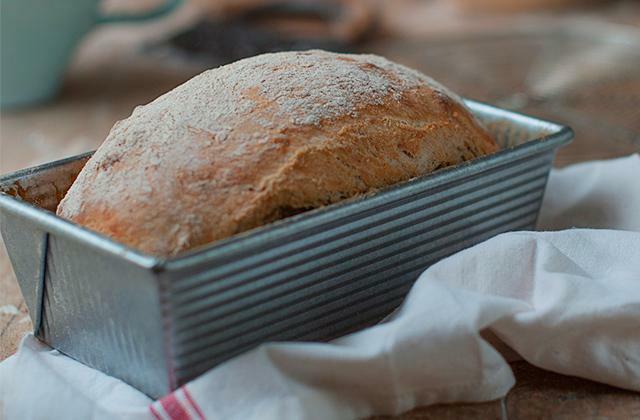 They will taste even better with a cup of fragrant coffee made with an espresso machine. I love this crepe maker! It takes a while to heat up between each crepe but they come out perfectly cooked. I was hesitant since I use gluten free flours but they work fine. Probably the easiest device to use for making crepe. No need to flip the crepe, spread the batter, etc. You just pour the batter, close the lid, and it beeps when it's done; producing the perfect crepe. It's fun, easy, handy, does more than one thing, easy clean and storage, and you get GREAT results; pretty perfect to add to any kitchen. Who said that cooking is boring? Making (and eating) shaped pancakes is a task even adults enjoy, let alone kids. Just look at these cute animals figures - they are sure to make your mornings brighter. There are different shapes available here. You can go with a cat, deer, bear, two dogs, and two tigers, all to make your little one's breakfast or supper a fun time. Please note that the cooking plates are not removable, which is somewhat inconvenient since you can't put them in a dishwasher. 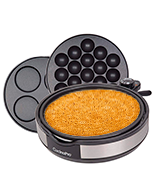 However, the CucinaPro electric waffler has a non-stick surface that will ensure hassle-free cooking and cleaning. 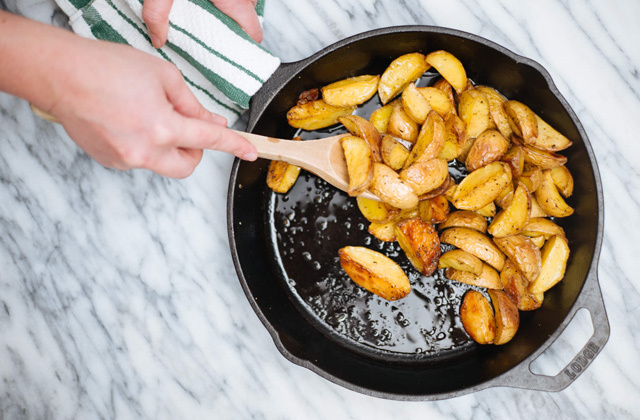 Besides, using minimum oil for baking (which is easy thanks to the non-stick coating) means healthier treats on your serving plate. Powerful heating elements and 8-inch cooking plates will allow you to prepare seven beautiful pancakes in one go. Summing up, if you are looking for an affordable pancake maker to cook tasty treats for your family and friends and to encourage your kid to help you in the kitchen, this CucinaPro model is an awesome choice. 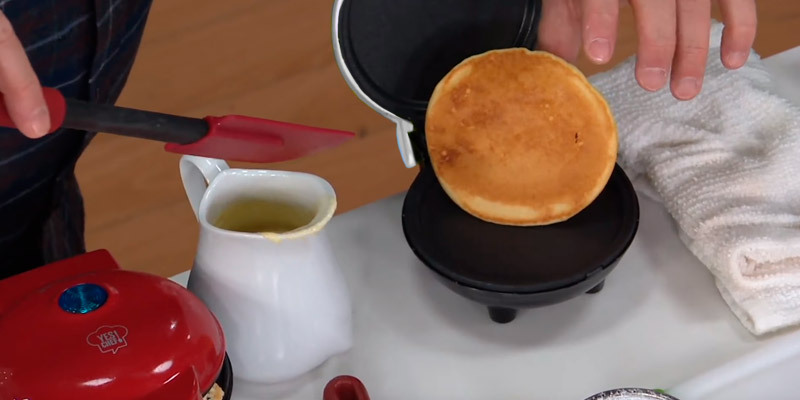 This wonderful mini pancake maker can be used for multiple cooking tasks. It allows you to make fluffy pancakes, grilled cheese sandwiches, fried eggs, cookies, and many more delicious dishes. You can make breakfast for one or toothsome snacks for the entire family. Featuring portable dimensions (5" x 2.8" x 6"), the unit only weighs 1.3 pounds, which makes it a perfect traveling companion for any camper or RVer. Besides, the item comes with a recipe book that offers a selection of delicious recipes to make delicious treats for anyone's taste. The appliance is so simple in use that even a kid can make their own breakfast (under your supervision, of course). All you need to do is plug the unit in, wait till the blue light goes off, and pour the batter onto the cooking surface. 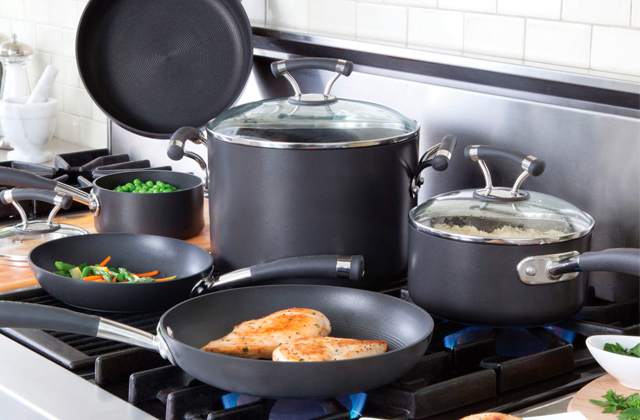 The latter has a non-stick coating that will make cooking and cleaning as simple as possible. 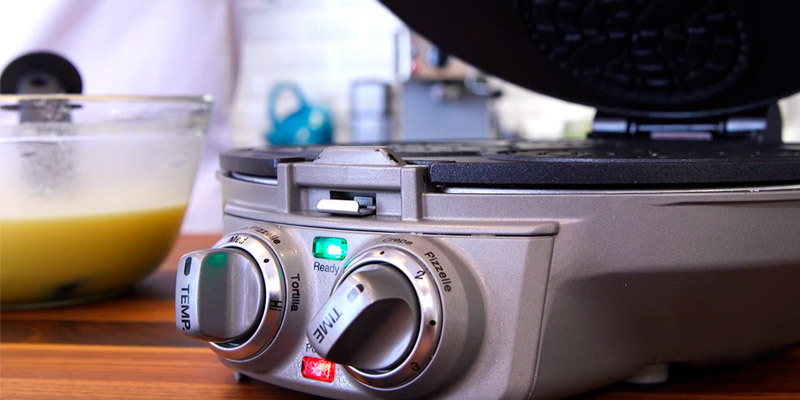 The only downside is that this crepe maker doesn't have an on/off button, so you will have to unplug it to turn the appliance off, which might seem a little inconvenient. Having said that, most users agree that the item offers good value for the money. This CucinaPro pancake maker is a real find for those who love to pamper their family with toothsome treats and surprise their guests with homemade gourmet dishes. From a filling breakfast to delightful party snacks and mouthwatering desserts, this compact appliance will make your culinary fantasies come true. So, what makes it so functional? 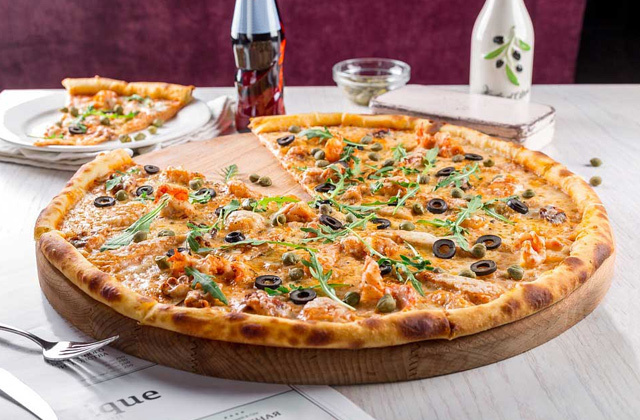 First of all, the unit comes with three interchangeable plates - a skillet for grilling, frying eggs, or making pizzas, a whoopie pie maker for making delicious desserts in a blink of an eye, and a takoyaki maker to cook scrumptious meatballs and tempting cake pops. Second of all, the item features a mechanical thermostat that allows for precise temperature adjustment. In such a way, you will be able to carefully follow any recipe you choose to try. However, some users report that the provided instructions could be more informative, so you will sometimes need to figure out the perfect temperature yourself. On the other hand, most customers agree that the unit itself works perfectly fine and is very easy to use and clean. 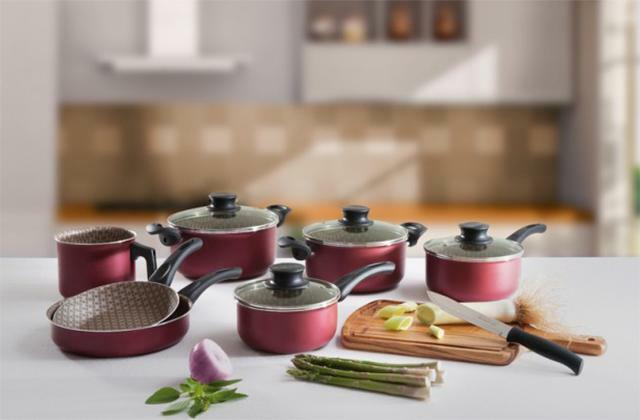 In a word, if you are looking for a functional appliance for making all kinds of goodies for your nearest and dearest, CucinaPro Multi Baker Deluxe might just be the best choice for you. A delicious, hearty breakfast is the best way to start your day. 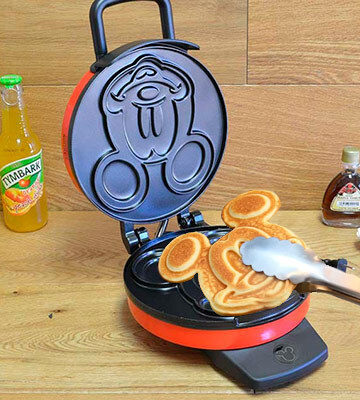 On that note, this wonderful pancake maker will make your meals both delicious and cheerful. A Mickey-shaped waffle with berries, honey, maple syrup, or any other topping is the perfect start for a productive day. Your kid's favorite cartoon character will encourage him to eat the whole breakfast before going to school. 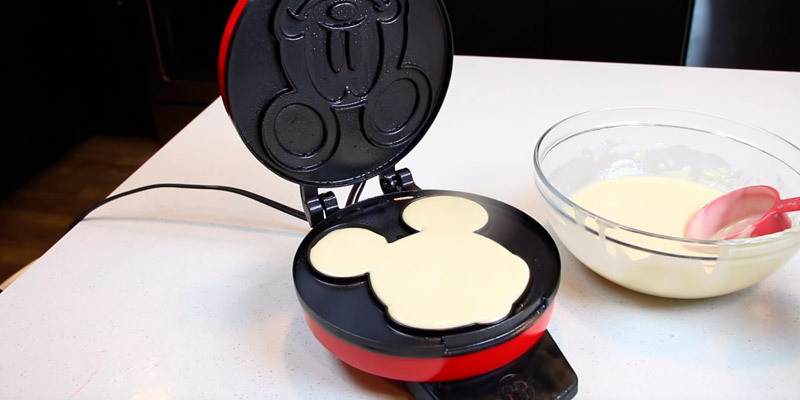 The appliance is so simple in use that even a child can use it to make a batch of delicious pancakes. Just be there to control the cooking process and explain to them that the batter is to be poured in when the red indicator light appears. The manufacturer also recommends using a toothpick to check if the cookie is ready. Cleaning is just as simple as cooking; all you need to do is wipe the cooking surface with a damp cloth when it cools down. However, keep in mind that the cooking plates are not removable, so you cannot clean them in a dishwasher. We would also like to add that, allowing you to make those fun-looking pancakes, the unit features a bright design so it will make a great addition to your kitchen interior. What Is a Pancake Maker? Round and golden as the sun, shaped like funny animals or cartoon characters, and served with salty fillings or sweet toppings, pancakes, crepes, and other batter dishes are well-known and loved all over the world. 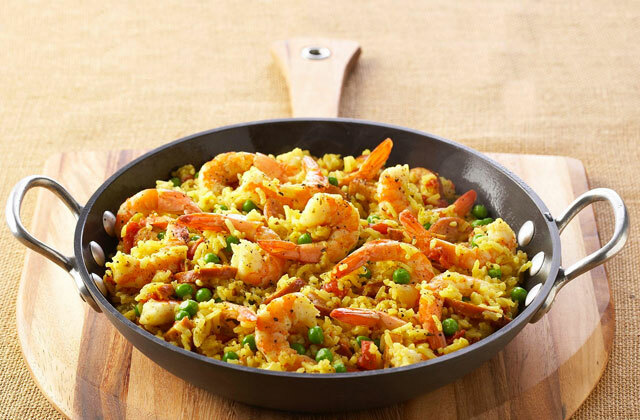 One thing that makes them so popular is simplicity - you need minimum ingredients for cooking. 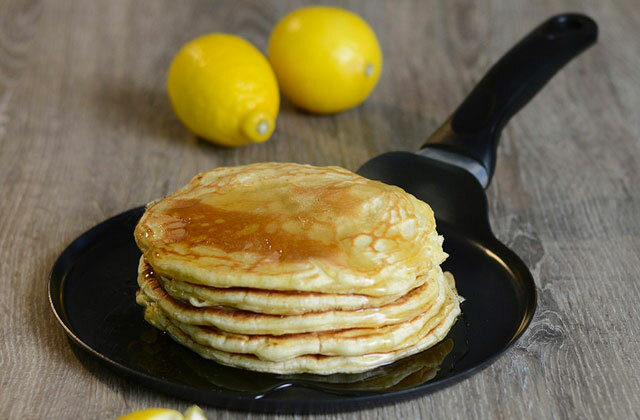 The other is versatility - the list of foods you can use as filling for blintzes or topping for griddle cakes is almost limitless. The only downside of these dishes is that it might take you quite a long time to make them unless you have an appliance specially designed for this purpose. Modern pancake makers have a non-stick cooking surface, some of the appliances feature removable plates that can be cleaned in a dishwasher. This makes the cooking process easier and quicker. 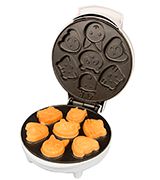 Next, they have a special design allowing you to make several perfectly shaped items at a time as well as prepare various kinds of batter recipes - pancakes, tortillas, cookies, etc. 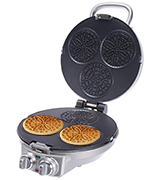 Moreover, some of the more functional units can be used as griddles; other models are so compact you can put them in your backpack and use at a campsite. You are welcome to look through the five best pancake maker machines for any purpose or occasion. 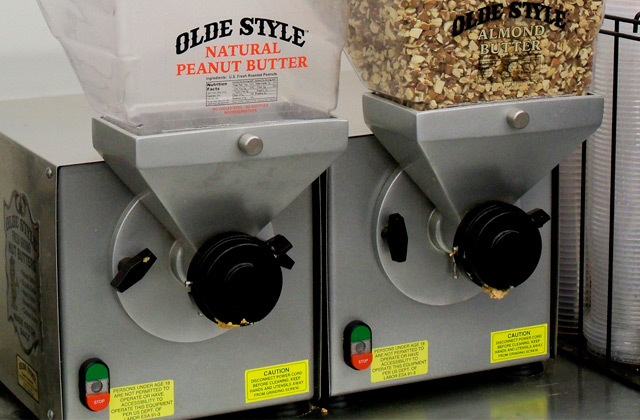 To make the batter for your pancakes in no time at all, we recommend using a stand mixer or a hand mixer.